Previously, you have learnt about 5 surprising things in Ural Mountains. You read many things about its height, range and age. Yes, it is an ancient range of mountains that becomes a boundary between Asia and Europe. You also learn about the fact that it is rich in vitamins and the place where “never-ending winter” cave resides. There are also some mysteries that occurs in the Urals. Do you know that Ural Mountains is also a place where mysteries lay? How many mysteries you know exist in the Urals? 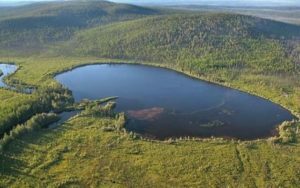 Below are 6 mysteries surrounding Ural Mountains that you must know. Tunguska explosion took place on June 30, 1908. The event occu red at the Podkamennaya Tunguska River, Central Siberia. It is about 620 miles of the north side of Irkutsk town and Lake Baikal. The explosion was extremely powerful and had explosive force of 15-megaton nuclear weapon. Moreover, it is 1,000 more powerful than Hiroshima bomb. With such power, it shattered windows miles away, flattened surrounding trees and lighted up the sky for several days afterward. There have been many theories trying to explain the cause of such explosion. An Italian theory suggested that there were two bodies entering the atmosphere. One exploded five miles before hitting the ground, while the other formed Lake Cheko. However, Russian scientists then found that the age of Lake Cheko is much older than Tunguska Explosion, thus rejecting the Italian theory. During a routine investigation of mineral deposits in Ural Mountains, people found several small nano structures. They initially thought that those were forgery. 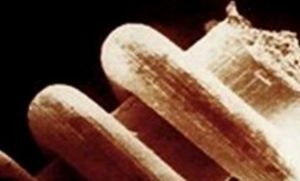 However, scientists suggested that those were ancient nano structures. Looking at the form, the scientists argue that the design is only possible from advanced high-tech technology which is impossible to be carried out prior to that year. The small nano structures range between 0.0003 mm and 3 cm long. After a thorough investigation on the structures, it was estimated that the artifacts came from civilization of 300,000 and 100,000 BC ago. Many years ago, scientists found a range of traces of Aryan culture. It is on the east side of Ural Mountains. The discovery was the first of several discoveries about ancient cultures. 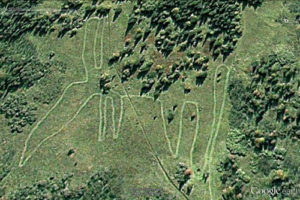 Following the discovery, they found huge geoglyph in the shape of an elk or deer near Zjuratkul lake, Ural Mountains. Alexander Shestakov first spotted the shape from satellite view. Researchers say that the stones stretch from northeast to southeast for about 275 meters. Nowadays, the stones are covered with a layer of soil. Grigoriev stated that the structure was made of stones and clay. 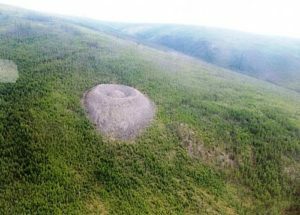 Russian archaeologists believe that an unknown megalith culture created the structures years ago. Arkaim is in the southern part of Ural Mountains, exactly at Chelyabinsk Region. The place used to be a place where people lived. However, there was something unusual with the place. Prior to a fire that burnt the place, the residents abandoned the place. The structure that aligns with stars makes it more extraordinary. Surprisingly, one can carry out astronomical phenomena observation in the place. Besides, the place allows observations of 18 phenomena using 30 elements, while usual Stonehenge only allows observations of 10 phenomena using 22 elements. Moreover, the place offers accuracy of 1-minute arc to a certain degree while the usual Stongehenge offers 10-minute. Thousands professionals visited the place to provide some explanations. However, they did not contribute much although they witnessed strange lights moving in the sky, mysterious light flashes, appearance of fog clusters and unexplained sudden changes in atmospheric temperature. Moreover, people who visit the place will suddenly feel not well in the area. The crater has a cone shape. The cone is about 10-15 meters from upper side and 70-80 meters from the bottom side. The diameters of the cone is about 130-150 meters. Since the discovery of the crater, they have been many theories that try to explain what had caused or created it. Two theories suggested secret Gulag’s mines and spontaneous nuclear explosion of uranium ore. 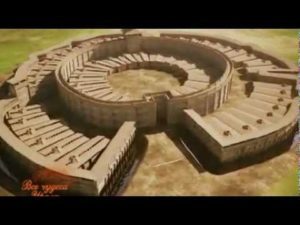 However, one certain thing is that all people who visit the crater experience the same symptom as people who have visit Arkaim. Yakuts even call it an evil place. Perm anomalous zone is also called as M-triangle. It is about about 10 km from the Molyobka village. Years ago, the place was sacred to Mansi people. Nowadays, it becomes a place where some unusual phenomena occur. In summer 1980, local resident Pavel Sergeyev witnessed an object fell into a pond. The event created 10 meters high wave that implied that the object was big and heavy. In 1984, Russia’s leading ufologists Emil Bachurin observed a purple ball that suddenly appeared out of nowhere from the forest. Soon, the place attracted more interests of some professionals. People who visited the location could observe rare phosphorescence, colored lightning, coronal anomalies, mysterious dark figures, flying spheres, plant mutations, unusual phenomenon of freezing rain, sound mirages and a few have heard ancient choir singing. 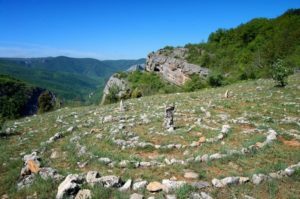 Those are 6 mysteries surrounding Ural Mountains that you must know. You can also read more Mountains in Russia here: animals that live in Ural Mountains, things worth to know about Caucasus Mountains, endemic animalsliving in Caucasus Mountain and animals that live in Siberian Tundra.